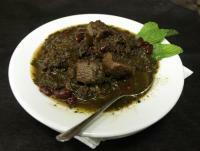 Ghormeh Sabzi had the most liked content! Are you CEVs similar to this video? Or different? Do you guys see something similar to the fractals? Can you guys describe your CEVs and possibly provide some images, animations or videos? Early-stage retinal problems can produce symptoms similar to VS. On the whole, VS patients have normal ERGs. If a patient has an abnormal ERG it might be a. suggestive of another disorder or b. they might have VS in combination with another disorder. Pot, kettle, black springs to mind. Have a one month posting ban for your troubles. Any further abuse of members will result in further bans. As I said, that sort of mentality is not what this forum is about. We support each other here - we don't abuse each other. The clue's in the title of the forum. There's absolutely no reason to be so aggressive and rude. You have a history of it on here, but that's not what this forum is about. If you have a particular opinion, fine, but there's a way of expressing yourself and that's not it. Furthermore, a failure to understand the importance of this study is a failure to understand the scientific process. It is not as simplistic as you make out. I suspect you haven't even read the study, merely the media headline. Science doesn't work by people saying 'based on my experience with LSD, it induces a higher state of consciousness'. No study has ever previously directly demonstrated a 'higher level of consciousness', and indeed the present study also focuses on how this higher level occurs in the psychedelic state. Using one particular scale, they were able to show that if, for example, being asleep is a lowered state of consciousness; being awake is a normal state of consciousness - then based on their measure of brain activity in scans, the psychedelic state is a higher level of consciousness. When we are under anaesthesia / vegetative, our brain signal is relatively most predictable; when we are asleep, our brain signal is relatively less predictable; when we are awake it is even less predictable; and when in the psychedelic state it is least predictable. This holds true for psychedelic states induced by psilocybin, ketamine and LSD - and based on their differing pharmacology, ketamine in particular, it is somewhat surprising they correspond to the same mathematical measure. We still don't understand what consciousness truly is, and this study clearly will aid in that understanding. This study shows that the psychedelic state is a distinct state of consciousness, as is being awake or being asleep, because of the global changes in brain activity observed (i.e. not linked to a particular region e.g. the visual cortex). We did not know this previously. The study helps to quantify what is going on in the brain following intake of psychedelics, and this will help further our understanding of how these kinds of drugs can be therapeutically effective, and will aid progress in being able to use these drugs to treat mentally ill individuals.The study also helps us to understand the level of our consciousness and what we are conscious of. In the study, the greater the subjective psychedelic experience, the greater the observed change in the state of consciousness using their measure. Our awake conscious experience is probably only about 5% of what we are (the rest being subconscious), so them demonstrating an increase in that conscious experience is exciting (although the study needs to be replicated using other measures). Their stated intention is now to see how differing information flow in the psychedelic state leads to different psychedelic experiences e.g. hallucinations, something that's clearly going to be more of interest to our community. Overall, this study supplements our understanding of how hallucinogens work to produce the experiences that they do. I think it says something that this study has initiated significant excitement for world-leading researchers who work in the area of consciousness and/or psychedelics. I should also say that study used recycled data from the brain scans carried out by Dr Cahart-Harris, Prof Nutt, et al at Imperial. That study was crowdfunded with assistance from the Beckley Foundation, who some members on here were in contact with previously. Concerta is methylphenidate, and is most commonly known under the brand name Ritalin. As far as I'm aware you usually need a prescription - certainly you do in the UK at least. I've seen some rare posts online of people complaining of HPPD-like symptoms following Ritalin use, or it worsening their pre-existing HPPD. Dr Abraham has mentioned it in the past as a drug that he has seen on occasion cause HPPD (I would give it a different name, personally). I've also seen rare anecdotal reports of HPPD-like symptoms from OTC drugs - certain cough medicines, for example. But the anecdotes are so rare that it is hard to say correlation = causation. Because any structural changes in HPPD (if they even exist) are too small to see with the resolving power of an MRI, which cannot image or even make any indirect suggestions at the level of individual neurons, other cells or microstructures, which you would think might be more pertinent. An MRI can show atrophy/lesions if they are substantive enough to appear on a scan, but keep in mind practitioners assessing the images from the scan are known to occasionally miss something pertinent e.g. small tumours - this gives you an idea of the limitations of an MRI scan. If HPPD has caused physical damage or changes in the brain then those are too small to see with an MRI. If your symptoms are caused by HPPD then there will be no pertinent findings. Let's give this one a bounce for the newcomers. Possible relation in PAWS and HPPD? I'm not going to comment on the rest of the thread, but I'd just like to fact-check comments made on this thread and other threads pertaining to neurogenesis, as it's a reasonably objective topic due to the nature of the research published. The research findings are commonly misinterpreted in various corners of the interwebs. In the adult human brain, the evidence so far suggests neurogenesis appears to occur only in two distinct regions. 1. The dentate gyrus (part of the hippocampus); 2. the striatum (part of the basal ganglia). From a neuroscientific perspective, the latter is particularly interesting as it may be uniquely human. In most mammals, neuroblasts in the subventricular zone migrate to the olfactory bulb, where neurogenesis has been confirmed. In humans, these appear to instead migrate to the striatum, though there may be a role for the formation from local astrocytes as well. Note: this is relatively new research - the breakthrough paper relating to the striatum was released only in 2014. Techniques used to confirm adult human neurogenesis are quite remarkable as well. For fantastic summaries, I recommend reading: - ERNST, A. & FRISÉN, J. 2015. Adult Neurogenesis in Humans- Common and Unique Traits in Mammals. PLoS Biology, 13, e1002045. - INTA, D., CAMERON, H. A. & GASS, P. 2015. New neurons in the adult striatum: from rodents to humans. Trends in Neurosciences, 38, 517-523. So although it's correct to say that neurogenesis does indeed occur in the adult human brain, it would not be correct to assume that widespread neurogenesis occurs in the adult human brain outside of the distinct regions named above. This forum was down when my symptoms first presented themselves. I wish I had the warnings others are lucky enough to get. I had comparatively minor symptoms of just visual snow and BFEP at first. I continued to occasionally smoke weed and take MDMA (I was never a big user), as well as drink a lot of alcohol. I cannot be sure what caused the spike but a few months later I developed a whole variety of other visual and non-visual symptoms. At the time I felt very ill. I then ceased all drugs (including alcohol), and tried to live as healthy as I could. Over a few months I recovered fully from some non-visual symptoms (e.g. head pressure, severe headaches, some trippy feelings that are hard to explain). I was then left with residual visual symptoms and some non-visual symptoms such as fasciculations, chronic pain and minor tinnitus. By steering well clear of all drugs, these symptoms have remained stable for several years and by taking Keppra I have mostly eliminated the pain as a factor. At my worst, I was unable to function at all. My life would have been a shambles. I am now able to mostly live as someone who does not have HPPD. The fear of being put back into a situation where I am not function and would not be able to achieve my life goals completely eliminates any desire I have to take drugs ever again in my life. If you have had HPPD, then you have a genetic predisposition to the disorder. If you are in remission you are not cured because you still have the same genetic predisposition which allowed you to get HPPD in the first place. If you know you have a genetic predisposition (everyone on this forum does), then the only sensible choice is to avoid drugs for the rest of your life. Especially drugs which, time and time again, users have reported as worsening symptoms permanently. Just because you are fine after one use does not mean you will be fine after the next use. If you cannot resist the urge to continue to take drugs then you should seek professional help. I am of the opinion that opiates cannot provide any actual direct treatment of HPPD. I believe they would decrease symptoms by way of pupil constriction, which would give the impression of a reduction in symptoms, much like symptoms are usually less during the day than at night. Most of these supplements are a complete waste of money for something like HPPD. In my early days of HPPD I was perhaps naive and somewhat desperate to believe they could help. I eventually tried uridine and it provided no positive benefits. I think the logic in trying it was misguided. It also coincided with tinnitus for myself, and whilst I think it was unlikely to be the cause, I remember others also having reported tinnitus upon uridine supplementation. No problem. There's also a number of lifers who are part of that group as well.